This recently refurbished apartment sleeps up to 5 people and boasts views of Antoni Gaudí’s Sagrada Familia. 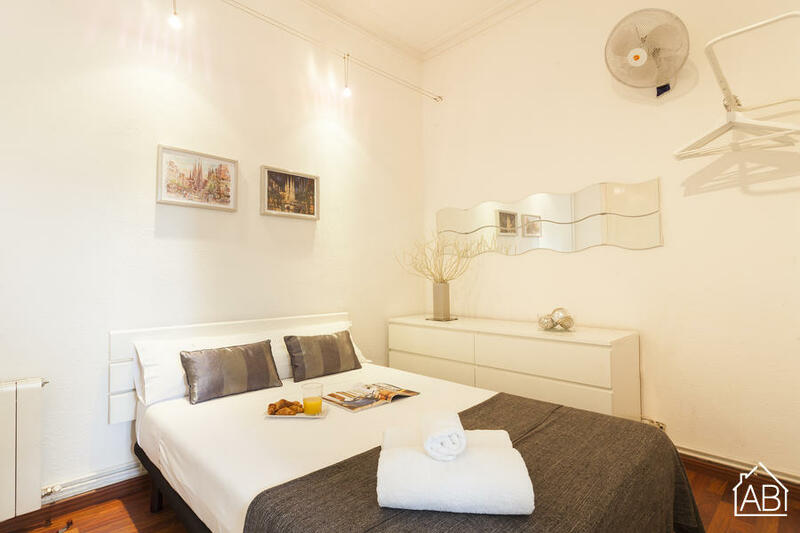 Located in the sophisticated neighbourhood of Eixample, with fantastic architecture and excellent transport links, the apartment is ideally situated for your stay in the Catalan capital. The area features lots of cafés, trendy brunch spots, bars, shops and popular restaurants. The apartment is modern, with contemporary fittings. Two double bedrooms and one single bedroom are decorated with homely furnishings, offering plenty of comfort and storage space with large chests of drawers. The master bedroom leads on to a large glass conservatory area with fantastic views of the Sagrada Familia and lets in plenty of natural light. Waking up with views of Gaudí’s iconic Cathedral is an unparalleled experience. Two modern bathrooms allow for ultimate comfort for more than just a couple of days’ stay in the city. The kitchen features plenty of amenities including a dishwasher, a kettle, pots and pans, a toaster and a microwave. Prepare your favourite meals to enjoy with friends or family at the large dining table in the open plan living and dining area. Large glass doors that lead out onto a private balcony let plenty of natural light into the space, which also features a big corner sofa, coffee table and a flatscreen television to enjoy evenings in. Internet, a hair dryer, washing machine, iron and ironing board make stays in this apartment even easier. With an elevator and situation less than five minutes’ walk from the nearest metro station, access couldn’t be easier.